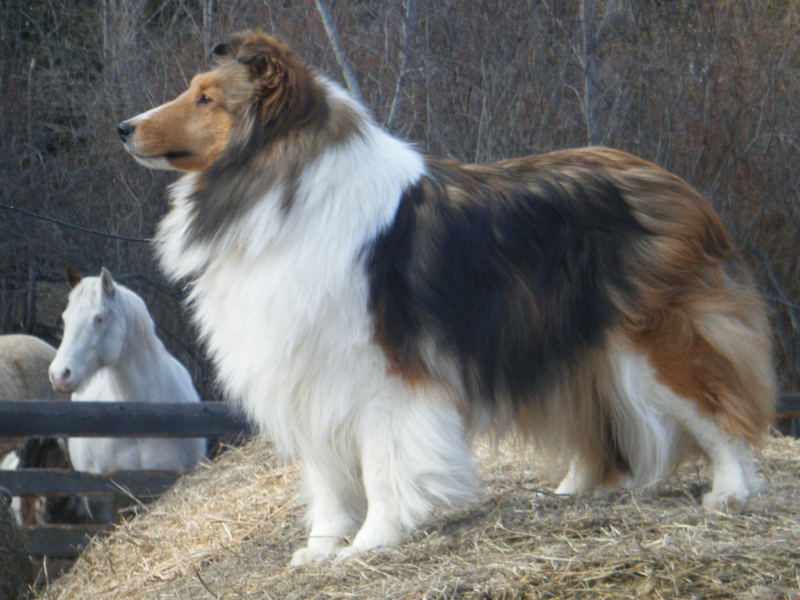 "Tanna" has come to make her home at Zesta through fellow breeders Sandra and Katie of Tavendale Shelties. Tanna finished her championship in a blitz. Tanna made her debut at both the ASSA & CSSA Nationals although not in the ribbons, thanks to all who commented on our lovely girl. 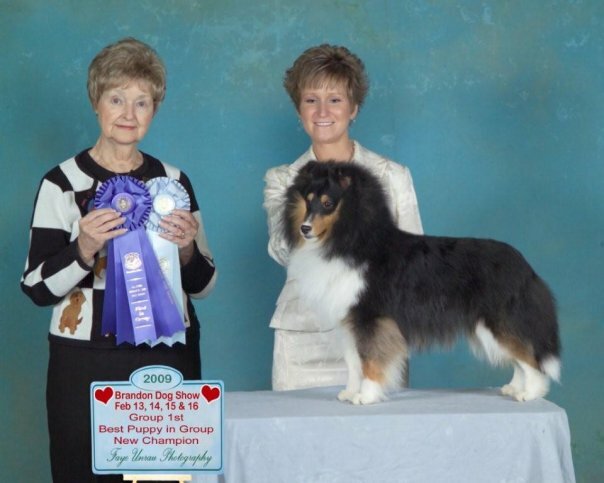 Tanna continues to WoW us as a producer as she now has 8 Canadian champions and all this at 5 years of age. we are quite excited about her upcoming litter to Am Ch Corteo at PaRay of Don Quixote aka Cameron. Pictured at 5 years of age above au natural! 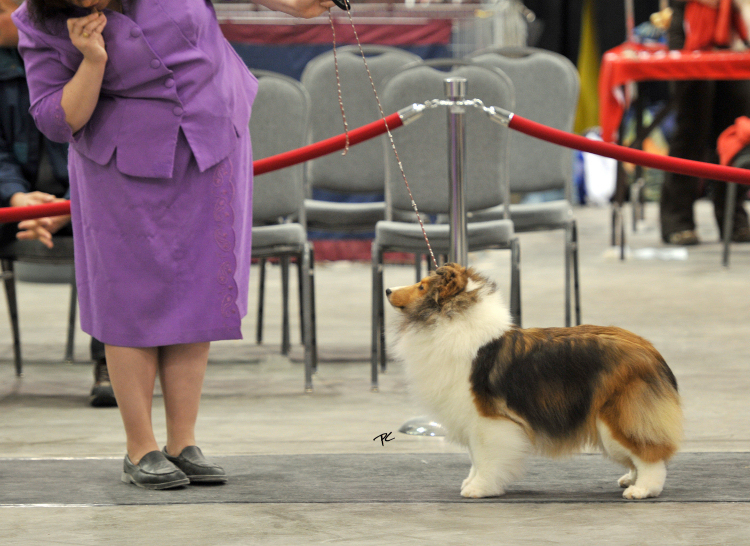 Pictured below at the CSSA National in Saskatoon. 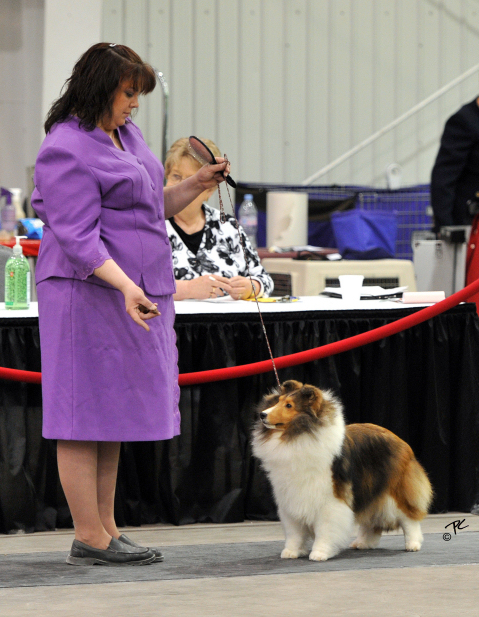 Thanks to Pete Culumovic for the great photos of Tanna from the CSSA 2010 National! Zesta & Tanna congratulates MBISS/MBIS/MBPIS winning daughter Ava & Tracy on their wonderful accomplishments! 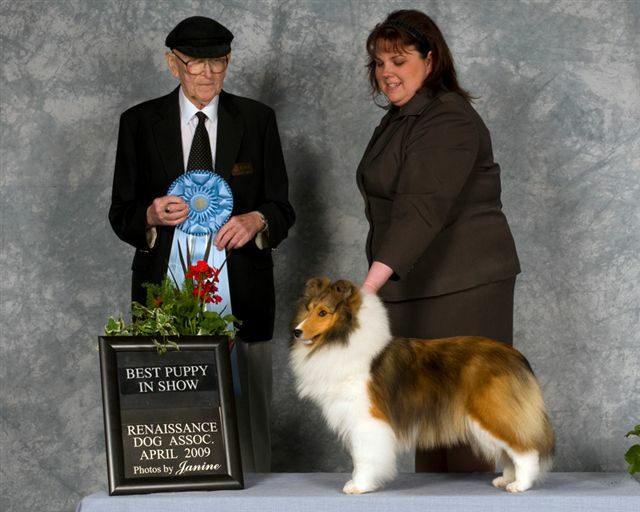 Top Sheltie 2009. 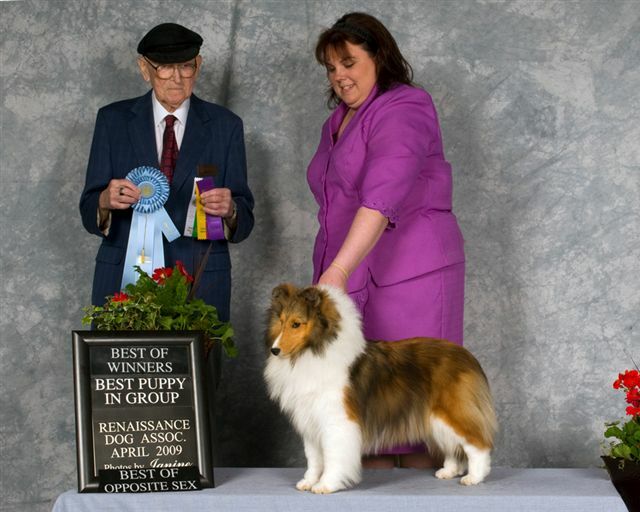 Mystic Greer Garson resides here with us and made her debut with a 5 point BoW, BoS, 2 Best Puppy in Group wins and a Best Puppy in Show. 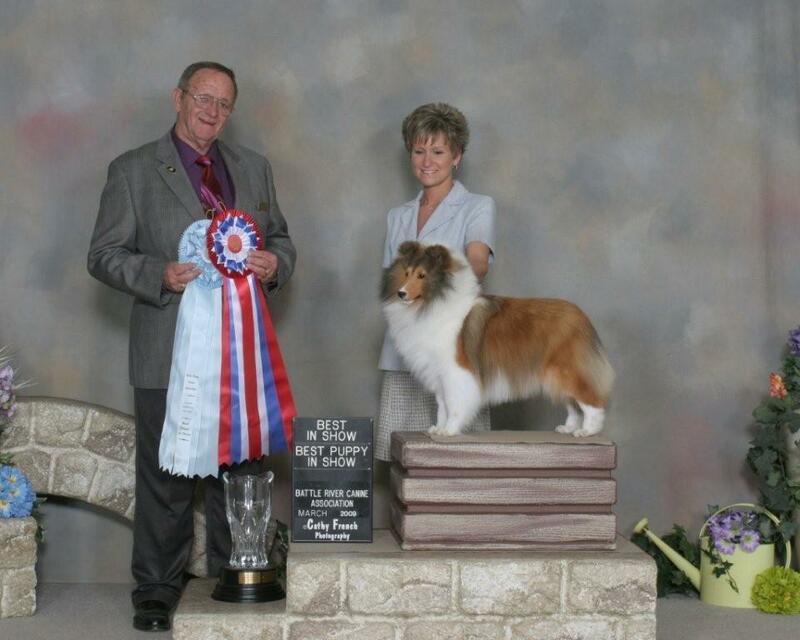 The next weekend out she finisher her championship with a Group 4 and Best Puppy in Group!